One of the biggest challenges that the owners of integration firms face these days is motivating their employees in a market that is experiencing minimal, if any growth. It seems that the glory days of double-digit expansion in the AV industry (for most of us) is simply not happening these days. So what’s the answer? What does an owner do when employees aren’t “riding the victory train”? Based on personal experience with my business, here are a few key strategies that have worked (for us) these past few years. 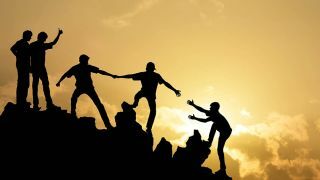 2)Stress Teamwork: Communicate on a daily basis that “we’re all in it together” and will work through the problems and challenges as a team. Make sure employees understand that, as the owner, you need help from each and every one of them to be successful in the future. 3)Paint the Picture for the Future: It is critical that owners not dwell on current industry problems but paint the picture of a brighter future for the business. Most good employees understand that many industries are struggling these days (not just AV) but need to know that better days are ahead. And be as specific as possible! It is also ok to admit (as the owner) that you don’t have all the answers, but you are working hard to get them.